Money Does Not Grow On Trees. It Grows Underground. The White PlantersTM 9200VE Series is powered by Precision Planting® to provide farmers with advanced planting technology. Experience ideal seed planting depth and uniform crop emergence with the new 20/20 monitor, which allows operators to choose the maximum and minimum amount of weight on the planter’s gauge wheels. Simplicity of transport is a key consideration with any planter. The 9200VE Series includes the option of wings that fold forward to attain a transport width that is nearly half of its field working width, along with a low and stable transport height. Tri-fold markers provide a well-defined mark to follow even in heavy residue conditions. 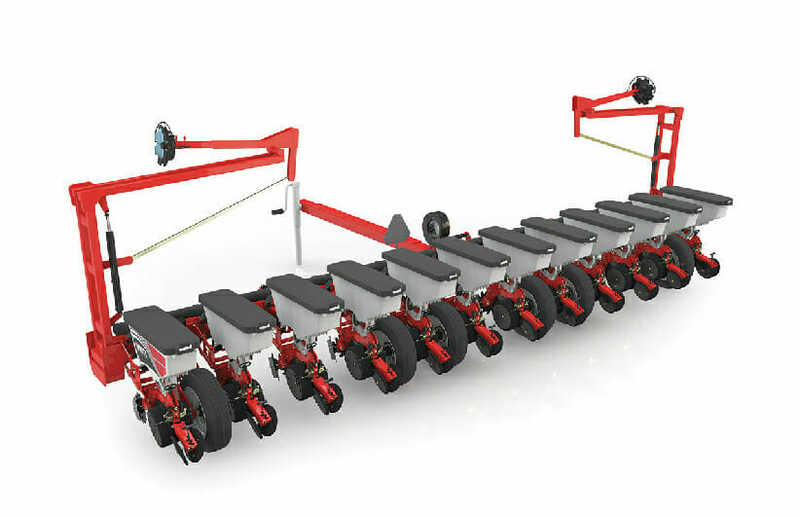 The 9200VE Series is offered in a 12-row, 30″ configuration. Row-unit-mounted tillage attachments can be added to prepare a seed zone ahead of the double disc openers. The tillage coulters cut residue and prepare a seed zone to speed soil warm-up and enhance germination rates. The vDrive auto row shut-off/turn compensation and DeltaForce hydraulic row unit down pressure are popular options to meet the specifications for progressive farmers.